We’ve just rebranded our site to reflect the cold snap we’ve been having recently. From 1st January 2011 the government will be raising the VAT rate to 20%. Recently we’ve talked to a number of customers who aren’t VAT registered themselves and can’t claim back the additional cost of the tax. For an entry level website the raise in duty could mean that customers are paying an additional £100 – £200. As you know Ardnet is a small company and as such we have found now we have the option to de-register from the VAT system so now from 1st December 2010 all prices will be VAT free. Considering what to get the person who has everything? One of the biggest gifts every year is a camera. Even the simpliest digital cameras these days come with a huge range of features and functions. Most people never use their camera to the full potential. Also for the petrol heads out there why not have a go at driving a real racing car with Race School Ireland. Gift vouchers start from as little as £149 to drive a Formula Ford single seater race car around Kirkistown circuit. Full information at www.raceschoolireland.com. Alan Crawford is a highly gifted musician and vocalist from Holywood, Co Down. Alan can play eleven different instruments and has an extensive repertoire catering for all music styles. 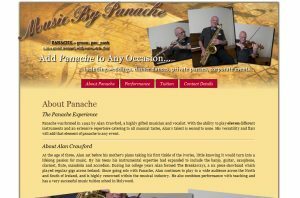 The website gives information on Alan’s performances and tuition services. 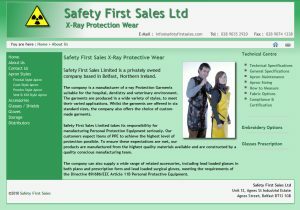 Safety First Sales have been a client of ours for many years, they manufacturer x-ray protective garments sold through a network of international distributors. The website provides an extensive catalogue of the products made by Safety First Sales as well as information and facts on the products. An interactive map displays the location of the various distributors worldwide. A new service from Colin Williams photography, 1-2-1 photography lessons make the perfect gift or why not hone your photography skills with this amazing tuition. 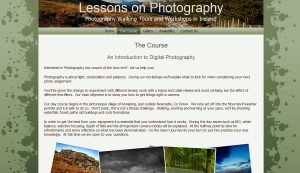 Colin conducts all his 1-2-1 lessons in the Mourne Mountains, allowing novice photographers to take amazing photographs worthy of hanging on any wall.